China is consider the world’s manufacturing center. The country makes everything from electric tooth brush, iPhone, iPod, computers, and yes even electric car. 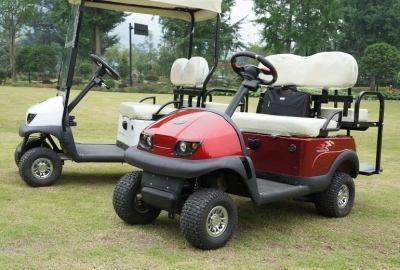 Most of the electric cars made in China are electric golf carts or Neighborhood Electric Vehicle (NEV). Established in 1967, Jinhua Golden Eagle Auto Accessories Manufacturing Co., Ltd., is a leading international trade enterprise which engaged in producing and researching series of hardware products. It lies in Flying Eagle Industrial Zone of West Yongkang city of Zhejiang. Founded in 1998, Suzhou Eagle Electric Vehicle Manufacturing Co Ltd. is a leading manufacturer in China specializing in designing and manufacturing of 4 wheel electric vehicles. 3) CMEC Suzhou Co., Ltd.
CMEC Suzhou Co. Ltd. is established in 1987, also a member of CMEC Group, with headquarter in Beijing. CMEC Suzhou Co. Ltd. is the main exporter for various electric vehicles, vehicle related products and equipments and as a professional oversea project conductor. CMEC Suzhou also has business ventures in Parking System, Trains, etc. Jiangmen Yetong Electric Vehicles Co., Ltd. is an overseas-funded enterprise established by Mr. Chan King Luen. Mr. Chan King Luen is the president of Hongkong Yetong Co., Ltd., former member of Guangdong Political Consultative Conference. He is now an honorary citizen of Beijing, Hangzhou, Nanxiong and Jiangmen City. Interchina Industry Group Co., Ltd. is a group specialized in manufacturing Electric Scooter, electric tricycle, electric car. Since 1999, the company has invested in some factories in Zhejiang, Jiangsu and Hebei with headquarter in Jiangsu and exporting office in Shanghai. 6) Liuzhou Wuling Motors Co., Ltd. Established in 1996, Liuzhou Wuling Motors Co. Ltd. is a state-owned enterprise group and one of the largest 500 machinery enterprises of China authorized for running under the government of Guangxi Zhuang Autonomous Region. 7) Wuxi Celimo Vehicle Manufacturing Co. Ltd.
Wuxi Celimo Vehicle Manufacturing Co., Ltd. has become one of the largest motorcycle manufacturers in China. The company has the capacity to produce 300,000 motorcycles and 500,000 e-bikes annually. Apart from the e-bikes, the company also manufacture electric vehicle. 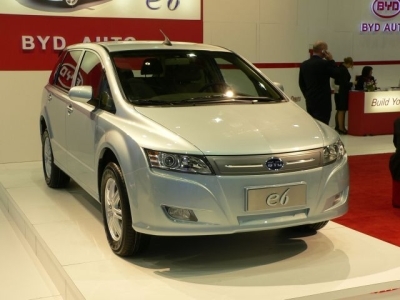 BYD Auto is a Chinese automobile manufacturer based in Shenzhen, Guangdong Province, People’s Republic of China. The firm was founded in 2003 and it is a part of the BYD Company Limited. The BYD company, established in 1995, makes 65% of the world’s nickel-cadmium batteries and 30% of the world’s lithium-ion mobile phone batteries. 9) Jiangxi Hongdu Voyage Industry Group Changzhou Hongdu E-Bicycle Co., Ltd. Established in 2001, Jiangxi Hongdu Voyage Industry Group Changzhou Hongdu E-bicycle Co., Ltd. Is an enterprise under Jiangxi Hongdu Aviation Group and Changzhou Yucheng Ele. Co., Ltd.
10) China Peace Group Co., Ltd.
One of the forum that I usually hang out is the DIYElectriccar Forum. You can check out the link below. BIKE website and watch one of the videos I made. Very informative list. I didn’t know much about the top companies in China. I learned a great deal. What do you think?Dear electric car manufacturers,my invention,S.U.P.G.-Self Uninterrupted Power Generator uses a self charging theory whereby the cells are self charged.When fitted to a electric car,the car can be driven 24hrs a day,non-stop,no fuel or re-charging needed,free green power without the need for fossil fuel,LPG,etc. Hello, I work for a German company and I am starting research on business development regarding the EV market in China. I would like to find contacts for EV companies in China, can anyone help me?